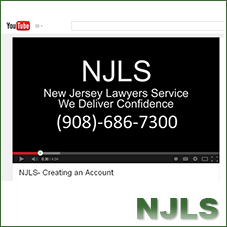 NJLS has created a 4-minute video showing how new clients can create an online account. This video is located on the NJLS YouTube channel. To view the video, which has audio, please visit the following URL: http://www.youtube.com/watch?v=tysSgqbzG5A.